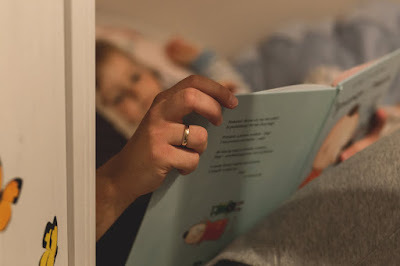 One of the things I missed when my eldest two children got to that stage when they became independent readers was the bedtime story. Sure, at times, it could be a chore, especially when you have a dozen things still to do in that sacred 'kids in bed' period in the evening. But when it was gone, it left a void—and so when we were blessed with a third child and an age gap of six years—I was grateful for the return of bedtime stories. I was chatting with my six-year-old, Henry, the other day about what books he's enjoyed the most. This last year he's progressed onto 'chapter books' as he calls them, and this has opened up a cornucopia of great reads. And given that it's the festive season, and anyone with kids/ nephews/ nieces/ grandkids are always eager for recommendations I thought I'd give you the top five from the brain of a six-year-old lad. I truly can't quantify how awesome these books are. The chaotic illustrations and bizarre storylines are reminiscent of Roald Dahl books, and there are scenes that are seriously hilarious. It also has the vibe of something that just wouldn't do well filmed, which makes it extra special in my eyes! 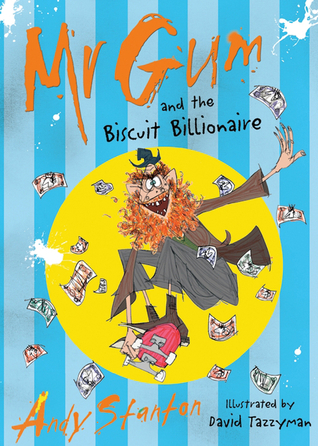 Mr Gum is the villain of the piece, with his grotty habits and his naughty schemes, he spends his days plotting the downfall of the village of Lamonic Biber. In this, the second book, the heroes are joined by the eccentric billionaire gingerbread man (powered by electric limbs), Alan Taylor. Alan must learn important lessons about value and wealth, in a suitably irreverent way. Just great. 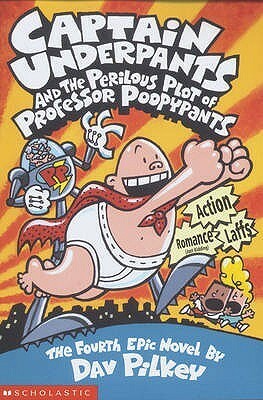 I'm sure if you haven’t heard of Captain Underpants yet then by the end of this coming year you'll be saturated by him. Dreamworks are making a movie of him for summer 2017, and the villain is the superbly named Prof Poopypants. Dav Pilkey got the mix just right, with toilet gags, superheroes, mean principles, and two likeable heroes in the form of George and Harold. There's a nice subversive streak in the books, which I think appeals to the kids. Henry loves these books, and it inspired him to draw and scribble his own cartoons with writing underneath (the Adventures of Stinky and Henry if you're curious). Is there a six-year-old not into pirates? Not in our neighbourhood. 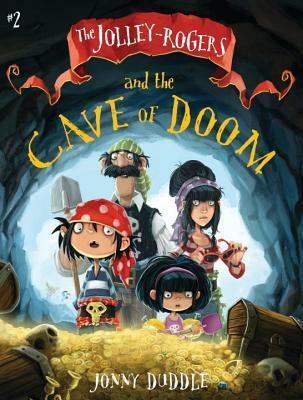 This series is about a girl Matilda who befriends a family of pirates who take residence in the port of Dull-on-Sea. 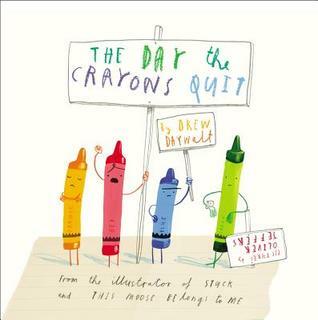 What makes the series is the clever plots, the gentle and occasional deadpan humour, and the wonderful illustrations. Of the latter, the style is perfect and I'd struggle moving through the book as I'd be looking at the great pictures. I'd read the HH books with my eldest, and so it was with great satisfaction that I coerced my Henry into reading about his namesake, with over half the 24 books saved in our study! There's so many to choose from, but this one is probably our favourite as the four stories are all great: notably the title story, and the trip to Restaurant Le Posh. As well as Henry and his naughty tricks, the collection of supporting characters (especially poor Perfect Peter) really shine in this book. And Henry's trick is really funny in this book, even for adults determined to ease their kids down the Peter way of life rather than the Henry one. 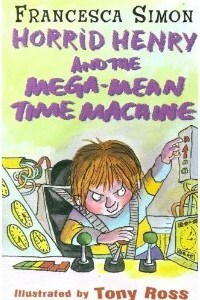 This one reminded me of an English version of Diary of a Wimpy Kid, which I enjoyed reading with my eldest years ago. 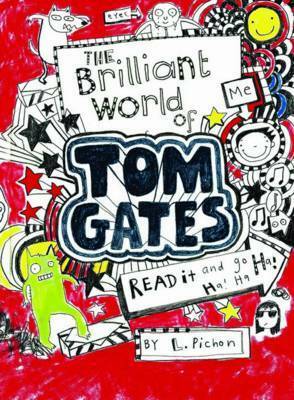 It didn't quite have the bite of the Wimpy Kid, but Henry really enjoyed it as it balances the easy-going story with plenty of doodles and cartoons. It looks more like a diary than Wimpy Kid and had some moments of genuine well-observed family humour that adults would chuckle about. We've bought another two in the series for Xmas, so let's see if Santa comes up with a winning series for Henry on Xmas day. So those are the five top chapter books (and series) on Henry's shelves. Naturally, we still have short picture books that now he can read alone a little he's returning to (Oliver Jeffers awesome illustrations, both in his own books and in the Day the Crayons Quit are my personal faves), but more and more it's the chapters books he's loving. And I'm wondering how long I can stretch the bedtime stories out for, and who knows maybe he'll return the favour when my eyesight's gone and I'm in the mood for a chapter book or two! Have a great yuletide, and I hope Santa brought you plenty of books. Ross Kitson is a doctor, occasional blogger, full-time geek, and sporadic author of fantasy and YA sci-fi. Connect with Ross on Twitter. Read Ross's articles.